The proud, personable and stalwart Morgan is a truly American creation representing America’s first horse breed, and its heritage parallels many significant historical events in this country. In the late 1780s, teacher, composer, and businessman Justin Morgan acquired a young colt whose compact muscular build, stylish way of going, and ability to outwork and outperform other horses caught the attention of area settlers and soon made him a legend. Although the stallion’s real name was Figure, he became known (as was the custom of the day) by his owner’s name, hence the Justin Morgan horse became the foundation sire for the Morgan breed. By the mid-1800s, Morgans were widely distributed across the United States. These acclaimed general-purpose work horses proved indispensible on farms and in the fields. During the Civil War, Morgans were highly desired and served as cavalry mounts and artillery horses. In fact, the First Vermont Cavalry was mounted entirely on Morgans. The stamina and spirit of the Morgan, combined with its build and way of traveling, contributed in part to the formation of other American breeds, including the American Quarter Horse, the Standardbred, the Tennessee Walking Horse and the American Saddlebred. Morgans range in height from 14.1 to 15.3 hands, and their color can be bay, black, chestnut, grey, palomino, dun and even buckskin. The breed comprises a large number of entries at combined driving and carriage events and was the first American breed to represent the United States in World Pairs Driving competition. Morgans also excel in many other disciplines, including English and Western pleasure, park under-saddle and in harness, hunter, jumper, dressage, reining, cutting, endurance and competitive trail. Today, the Morgan serves as one of the nation’s top show horses, and the breed’s soundness, power, agility, versatility and stamina make it the choice for many equestrians. 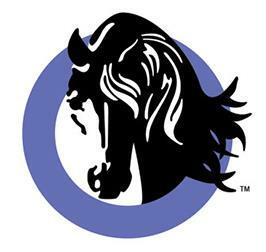 The American Morgan Horse Association, Inc. exists to preserve, promote, and perpetuate the Morgan horse. Today there are approximately 90,000 living Morgans registered with AMHA. The Association carries out administration, promotion and education for the benefit of its members and the breed. AMHA serves approximately 7,000 active members, 50 recognized clubs, and 20 youth clubs. Describes the timeline for submission of a rule change through board approval. USEF has added an additional show called Competition Lite. This new structure was created to provide another avenue for competitions to be licensed with US Equestrian while experiencing a modified application of some of the rules. Describes the conduct of the class with a score sheet.